Self proclaimed King of Bling prezzo gave Kenyans a shock of a life time after he appeared on KTN’s Betty Kyalo’s interview while a little bit drunk. 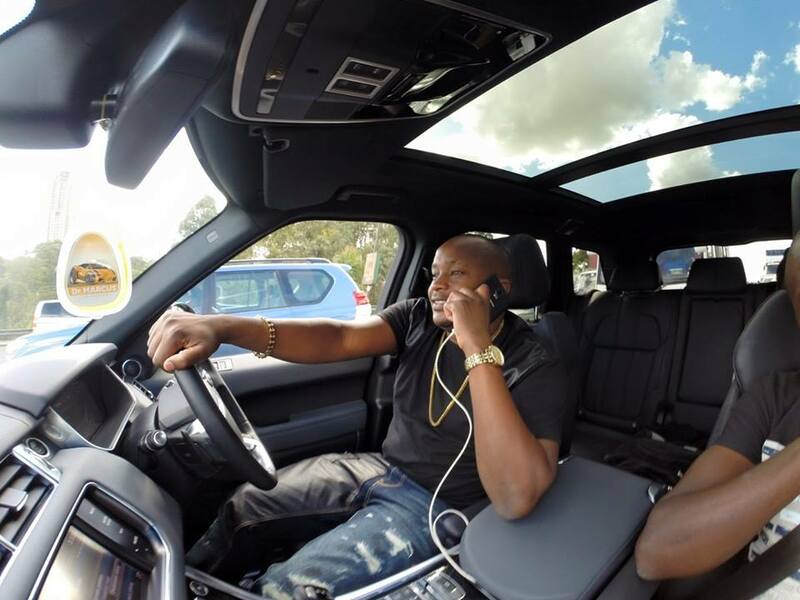 The rapper displayed an embarrassing scene that moved his mother who latter called Betty Kyalo and apologized on behalf of his son. Well the craziest of all was when Betty Kyalo asked about his beef with singer Jaguar but prezzo was quick to say he has never heard of him. He even went ahead to ask is Betty was talking about the expensive motor vehicle known as Jaguar. 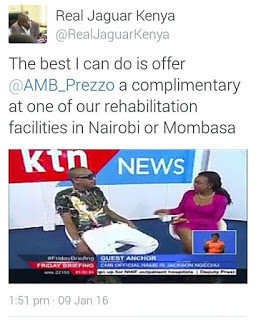 Well Jaguar who was busy doing the job he was assigned by president Uhuru Kenyatta decided to comment about Prezzo’s character and said the lad deserves to be rehabilitated due to consumption of too much drugs. Here is a screenshot of Jaguar’s post.